We specialize in an iterative software development approach with requirements and solutions evolving through collaborative Sprint sessions with self-organizing, cross-functional teams to quickly deliver functional products. Our Agile Scrum experts deliver customer value and stakeholder satisfaction across critical key business units without interrupting or compromising ongoing operations. eTelligent increases the business value of applications using Agile ensuring functions are continually evaluated, modified, and refined. As our customers mature to adopting continuous development, our DevOps integration teams target product delivery, continuous integration and continuous delivery (CI/CD), quality testing, feature development, and maintenance releases in order to improve reliability and security and provide faster development and deployment cycles. 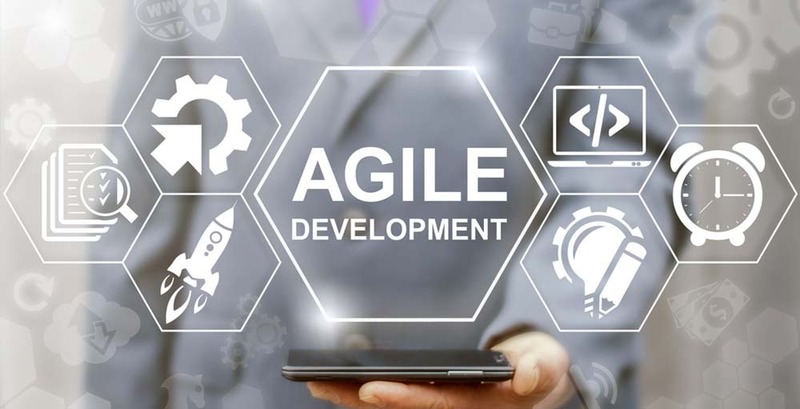 eTelligent Agile and DevOps experts enable robust integration strategies with stringent quality goals to enable higher availability, reduced downtime, and optimal performance, scalability, and security. Our development services include application development, testing, integration, maintenance, and management; operations and maintenance, and security.